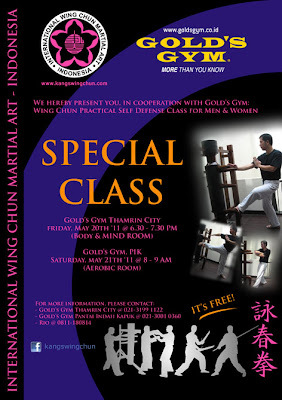 Tomorrow, Friday, 20 May 2011, Wing Chun Special Class (For Free) in Gold's Gym - Thamrin City; @ 18:30 - 19:30. We'll be waiting for your attendances. Be there on time!